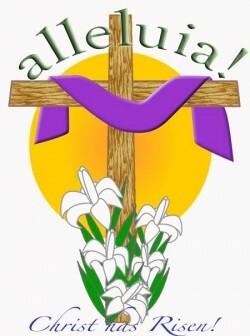 Sunrise Service @ 5:45 a.m.
Easter Breakfast @ 9:30 a.m. Thanks For Visiting The OLDN Website! Children are a special gift from God. It is our goal to have a safe and nurturing environment, where your child will know that God, and their caregivers, love them. We are big enough to have quality programs, yet small enough so that you and your child will feel like family. I am a mother of 3 boys. My oldest began attending Oak Lawn Day Nursery in June 2006 at the age of 2. I was a wreck just thinking of sending my beloved son to a daycare. I had to work and therefore my son needed to attend a daycare. But, Oak Lawn Day Nursery is not a daycare; Oak Lawn Day Nursery is a home-away-from-home for my boy then and my other 2 boys today. Each of the teachers and assistants extend a gentle, kindred smile to my boys each and every time they enter and depart. They know my boys. They love my boys and it is evident in every assignment, every exercise, and every song they teach as God is at the center. I am eternally grateful for the peace of mind they have afforded me as I head off to work. When the director informed me that a kindergarten program would begin back in 2008, I was joyfully relieved to know that my son would be able to continue with his buddies and gifted teachers. Beyond the loving environment, they educate my boys—academically and spiritually. My younger 2 boys learned their shapes and colors by the age of 2. My oldest entered 1st grade prepared beyond expectation in reading and writing as well as math. Today, my middle son will soon graduate from the Oak Lawn Day Nursery kindergarten program while my youngest will continue in preschool. Oak Lawn Day Nursery is a gift to parents. Oak Lawn Day Nursery is a blessing to me and my family. It is challenging to find someone you can trust to care for your children. Oak Lawn Day Nursery far exceeds other day care facilities. Over the years, OLDN has become our extended family. The nurturing environment coupled with structured programs built the groundwork for our children to flourish. They entered the facility in carriers and exited in caps and gowns. OLDN is an amazing atmosphere that cultivates physical, academic, fellowship and spiritual child development. Several activities were set up in the infant/toddler room for creative exploration to strengthen our children’s gross motor skills. By the time our children were promoted to the 2’s&3’s room, they knew colors, shapes, alphabet and started reading and writing. The pre-school room refined social skills and continued on the path to academic excellence. Kindergarten was a great experience for our children. Reading Centers and Math Centers allow progressive learning. Flat Stanley is an example of a Social Studies project where the children studied geography. Science activities ranged from studying the solar system to the life cycle of every insect imaginable. Fellowship is a constant theme at the school in conjunction with the church. OLDN encourage family participation throughout the year including the Fall Festival, Christmas Program, Easter Egg Hunt, Graduation, Vacation Bible School and the scouting program Caravan. Our children are well prepared for elementary school and beyond. They graduated as independent thinkers with a solid foundation of Christian values that will guide them in making good decisions through their lives. Sending our children to Oak Lawn Day Nursery was the best decision we made for their future. We appreciate the love and care that was given to our children. God Bless the staff and students at OLDN. Thank you for welcoming us into the OLDN family. My daughter attended the day care from the time she was 12 weeks old until she went to Kindergarten. We moved out of state several years ago. I just wanted to say thank you for the wonderful care she received all those years ago. It was like she was being cared for by family. All the teachers and programs were amazing. I always felts she was safe, loved and cared for and that it was her beginning of learning about the love of God. Thank you all again. The curriculum utilized at OLDN is teacher created and follows the national standards for early childhood learning as well as the common core standards for academic achievement. An emphasis on Early Childhood reading readiness is presented in every classroom with strategies and curriculum that follows the National Reading Panel and the International Reading Association's guidelines. Teachers have been trained in reading specialties that include phonemic awareness, phonics, comprehension, fluency, and vocabulary. In addition to reading readiness, a strong emphasis is placed on math and science skills beginning with numbers, shapes, and interesting topics including weather, animals and insects, plants, and various experiments. Children are encouraged to explore and participate in all learning as learning is interactive. Physical development and good healthy eating habits are emphasized in physical education activities and nutritional guidance. The development of large and small motor skills are promoted through organized and selective activities. Children are encouraged to use their imaginations through dramatic play and creative art. At OLDN, all employees are experienced in sharing the love of Jesus and teaching biblical principles to young children. They are taught Bible stories and prayers. Preschoolers and Kindergarteners attend chapel once a week where the OLDN chaplain encourages them to sing and participate in interactive Bible learning. Parents are welcome to attend. The curriculum at OLDN exceeds the basic standard recommendations as our philosophy is in agreement with the latest brain-based educational research that Early Childhood, birth-age 6, is where great learning takes place. What a child learns in these years remains with them a lifetime! Every child deserves a great beginning! Fall Fest, Summertime Vacation Bible School, Graduation Celebration, Annual Christmas Program and Parent-Child Reading Nights are regularly scheduled. Parents Night Out is free for OLDN parents. Preschoolers and Kindergarteners are encouraged to attend Caravan, our children's scouting-type program on Wednesday evenings. OLDN participates in two fundraisers a year. Families who participate in the fundraiser are exempt from restock fees. Please contact us for more information. For the benefit of all the children here, discipline is handled with kindness and understanding. We set limits and provide redirection. At times we use time out for unacceptable behavior. If unacceptable behavior repeatedly continues, the parent, teacher, and director meet together to work out a plan for the child.